Lord Krishna is the eighth avatar of Lord Vishnu. Krishna is usually depicted as a romantic hero who is known for his Rasa lila. The sculpture Lord Krishna is two- handed and is in dancing posture. The legs are gracefully posed and it expresses rhythmic movement. 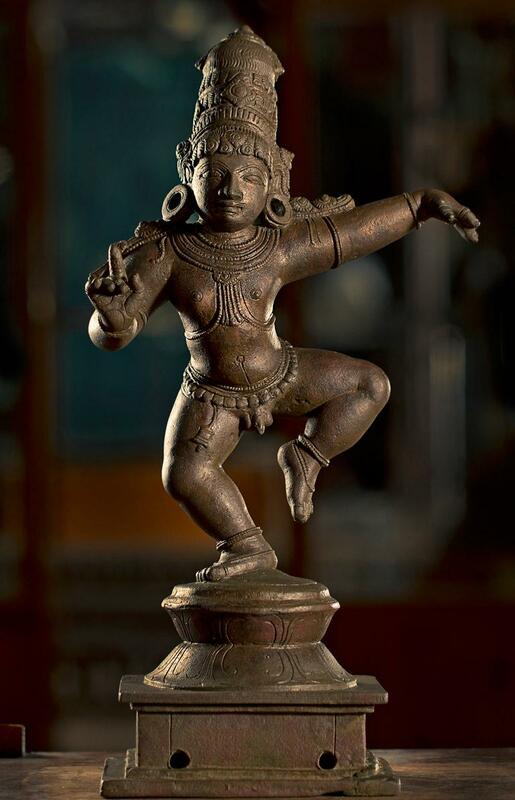 Some scholars assert that this piece is not dancing Krishna, but it is Bala Subrahmonya or Thirujnana Sambandhar. They are of the opinion that if it is a dancing Krishna there must have been a ball of butter instead of ‘Suchihasta’.